And how easily people manipulate logic by faulty reasoning and by assuming shonky premises. I agree. Here is how physicists use such faulty reasoning to explain the infamous double-slit experiment. Such faulty reasoning infers that a material object object can be in 2 places at once! The experiment has been replicated with larger particles as in atom-laser and BEC (bose-einstein-condensation) super-atom (a few thousand atoms) and the same interference pattern is observed. They say (Copenhagen Interpretation camp) that our (observers) consciousness creates reality, which is no difference to what God believers say about creations. I don’t buy that reasoning myself. The quantum theory works, that’s undeniable. However I’m tilted more into Einstein’s camp in saying that there is something missing in quantum theory. Here is the Copenhagen Interpretation of Quantum Theory. Have a good weekend readers of SciBlog. I reckon it’s beer-o-clock now! Actually the problem doesn’t lie in deductive logic, which as Popper noted is used in testing to tell us which is wrong. It is just that it needs embedding in the process of observation and elimination testing so it becomes possible to tell us which is correct. Analogous to general relativity vs standard cosmology, the former isn’t enough on its lonesome but it isn’t wrong or limited either. That video is blocked in my nation on copyright grounds. But generally, it isn’t a question of classical Copenhagen theory anymore. Decoherence is somewhat tested in experiments, which can take quantum systems in and out of it, if they do what they are interpreted to do. And that kicks the leg out under “collapse” as in the classical Copenhagen. And “collapse dualism” as in the various “mind” theories that, contrary to your claim, was supported by few physicists. On the other hand Einstein has been rejected at very high certainty (25 sigma in some cases!) by Bell test experiments denying any missing (hidden) variables. The long and the short of it, is that there are realistic local (so faithful to relativity) quantum theories which contain decoherence, such as Many World Theory. If you accept them observables aren’t existing as such until decohered; the trouble comes in if you insist thinking of them in a then illegitimate way. I posted a wrong link for the double slit experiment in my previous message. The following is the correct link. Larsson, I like Popper’s logic, however one cannot deny the fact that object has to be localized which quantum mechanic says that it is not. Object is smeared out in space (probability distribution) and not localized. In terms of chemistry, an electron is here and there simultaneously. No definiteness at all, that exists until one measures. If you don’t look (measure) it is not there (it exists in super-position states simultaneously) but only pops into existence when you look. As Einstein said, the moon only pops into existence when one looks up the sky. If nobody looks, the moon is not there.Bizarre according to quantum mechanics isn’t it? Larsson, there is theory that has been proposed in the late 1990s that is claimed to explain quantum mechanics (including the double slit experiment) called TEW (theory of elementary waves). TEW has nice explanations, but I think it is weak. It explains everything that quantum mechanics (QM) predicts/explains except that it doesn’t involve any wave-function (hokum) collapse. So, TEW brings back causality that QM has throwout. TEW also explains the Bell’s theorem too. As I said, TEW is weak philosophical, but has a very powerful explanations of the observations in quantum mechanics. “I have often noted that religious apologists have a problem with honesty!” That’s a very objective comment coming from someone writing a science blog. Clearly you would include Bacon, Isaac Newton (all to the glory of God) and CS Lewis, Samuel Pepys, Dalmadian and Russell Humphries in that group? No gjphilip – just read my article. I made it quite clear who the apologists are that are lying. In this case Craig and his fan clearly lied about Krauss. Attributing to him things he never said. It also goes for apologists who attribute the horrors perpetrated by some men against others to atheist beliefs – even in the case of Hitler who was not an atheist. I do find that quite common with Christian apologists. I guess it comes from never having to test their claims against reality. Do you consider yourself one of these apologists? Ken, I’ve found some of William Craig’s youtube videos debating with other scientists, Dawkings, Kraus, Atkins, etc,… His arguments is very persuasive to the audience even though he’s misrepresenting scientific facts and giving obfuscating concepts. See, the naive public will rate his views higher than scientists. The problems with the scientists views are that they do not attack Craig philosophically, that’s where they can nail him. Instead they engage with him in a non-philosophical manner which opens them for Craig to attack in their own specialist field. Craig brought up a valid point in his debate with Atkins. He stated that Einstein postulated the constancy of the speed of light with no proof at all and he’s correct there. Still today, no one has explained or proved the constancy of light speed. It is taken as a statement of fact, with no proof. In other words, Craig is using that to hit right back at scientists, because Craig is right. Believe in constancy of speed of light is no different to what he himself believes (existence of God). The theory I mentioned in a link on my previous post on TEW (theory of elementary wave) does explain the constancy of light. As I have stated previously that TEW is very weak philosophically in some ways and also weak theoretically, but it offers nice explanations of physical observations in a “cause & effect” manner which modern physics has abandoned since they emerged since Einstein relativity theory (& quantum mechanics later) was/were formulated. See on the following page where the developer of TEW explained how his theory explains the constancy of speed of light. Scroll down to the video on special theory of relativity. TEW may be entirely wrong theory but it’s good that it raises the awareness amongst scientists that “cause & effect” must still be embedded in any theory of physical reality, because in fact, modern physics has abandoned it in favor of mysticism. Note that the idea that a material object and be at point A and point B simultaneously is mysticism that is no difference to those who hold on to views of an intelligent creator. The point that I mentioned above about mysticism in modern physics is based on objective philosophy and metaphysics arguments. For things or objective material to be claimed that it can be at point A and point B simultaneously, that thing itself has no identity. Things that doesn’t have identity can’t or must not exist. This rules out the existence of God. The following is a good introduction to the topic on metaphysics & existence. I would like to see Dr. David Harriman a physicist (who’s also an objectivist) face-off with Dr. William Craig on existence of God. I highly recommend the series by David Harriman on philsophical problems in modern physics. The lecture series is available for sale on the net. Here is one of Dr Harriman’s lecture on youtube. It pinpoints the absurdity of how physicists treat space as a thing. 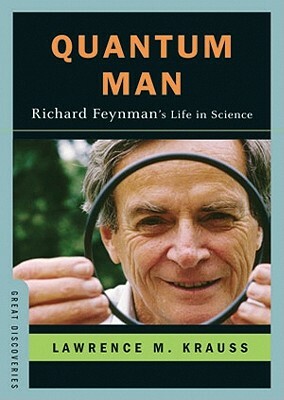 The best approach to physics is I think is Feynman’s approach. Just Shut Up & Calculate. Theories are useful, it’s unquestionable, however their interpretation religiously pursued since that may imply unphysicality in which case it becomes no difference to followers & proponents of an intelligent creator. Red Herring Falafulu. Read my article. It is specifically refrerring to the dishonesty of apologists like Craig. And specifically to the misrepresentation of Krauss’s comment on the limits of common sense logic. Not relevant to the philosphical discussions of quantum memchanics etc within science. These are far more complex – really a matter of interpretation and undersranding rather than dishonest. I am not going to be distract6ed by such an obvious red herring. Ken, I don’t think that it is red herring. The question of causality has been ignored in Physics over the last 70 years or so. If one ignores causality, then one may just have to accept that somehow nature is playing mind games with us. Just read the following article from a Nobel Physicist’s Prof. Brian Josephson. This is exactly the sort of thing that disturbed Einstein. Somehow Brian Josephson is trying to link paranormal into quantum mechanics. I wouldn’t be surprised that one day some physicists will imply existence of God using quantum theory. Why? Logic of causation is out and its being replaced with spookiness (in Einstein’s word) and accepted as the norm. The physical observations are facts (undeniable). The implication of their physical origin is what’s at odd with philosophy. Physics must be guided by philosophy and not the other way round. The point that physicist David Harriman is trying to make is that when you say that there is a limit to logic or thrown out causality altogether, then one will face with contradiction everywhere. Metaphysical explanations of existence avoid such contradictions via sticking to the very nature of existence that things must have identities. Here is another article where some physicists have criticized Brian Josephson for his claim to linking quantum mechanics into paranormal. You won’t be told will you falafulufisi? Your comments have nothing to do with this post. I have written on similar things before – as in my book review of Stengers Book Quantum Gods (Quantum Gods) or Lanza’s book Biocentricism (Biocentrism or eccentrism?). Your comments would be more appropriate there. Ok Ken, I’ll make a last comment on this thread. I’ve stayed on topic here and you seem to be irritated. Your blog post title is the limits of logic. I’ve argued on causality here. If one has to claim logic is limited, then this is the direct result of the abandonment of causality in physics. 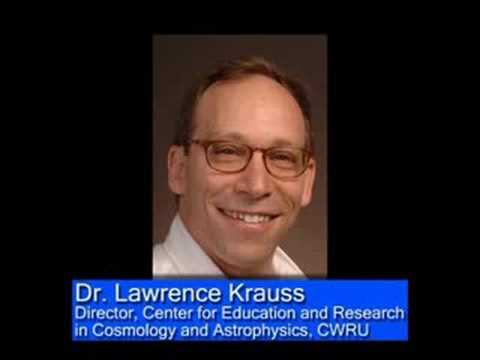 Dr Krauss have stated that very point clearly in his interview on Stephen Hawking’s documentary on you tube. (Causality is out the window). Here is a fact. The 2 blog posts from Prof. Victor Stenger that you have linked to in your message above, don’t address the causality issue at all. None whatsoever. If one doesn’t address the omission of causality from physics, then physics itself is vulnerable to attack from within itself and also from outside. C’mon, you buy into time going (traveling) backward at the micro-scale level? Do you think that this is how reality works as quantum mechanics says it does? Or it is perhaps a limit of logic? Isn’t this the same argument that religious people are making? God travels in time backward and forward. The problems of the argument about existence of something is philosophical first & foremost, then physics second. Religion proposes untestable physical theory. Quantum mechanics does exactly the same thing. What’s the difference here? Answer? Philosophy to the rescue. God can be refuted on this basis alone without the need to ask for evidence in the first place. No one has come up with a physical test to find out the mechanisms that cause radioactive decay. There is no such test that exists today. It is not a technological limitation that we can’t do that. It is simply quantum mechanics says that it is indeed untestable. QM therefore has shields itself from being tested. The very act of trying to observe (measure) it, means that the outcome will be different (compared to if it is left being unobserved). It is an untestable phenomena, because Quantum Mechanics says it is due to chance. Radioactive decay process has no causation at all. Here is the first experiment at University of Innsbruck, Austria which supposedly confirmed entanglement & non-localities (1998). The experiment is the extension of the double slit experiment, but this time, they used kilometers of fibre optic cables to send a pair of correlated particles in opposite directions. There were nonsense commentaries from physicists at the time when that experiment came out in 1998. They said that everything in the universe is interconnected instantaneously. So, now. Is there a limit of logic here or shall we just say, that facts are facts (i.e., experimental observations) however we don’t know what it is, because to imply that events separated by a vast distance can effect one at the opposite side of the universe in no time (i.e., zero time) is far fetched. Does this sound familiar with religious people? God acts in a manner that is instantaneous and can also be eternal. First instantaneous actions are non-causal so it must be ruled out as just fantasy. It is not limits of logic. 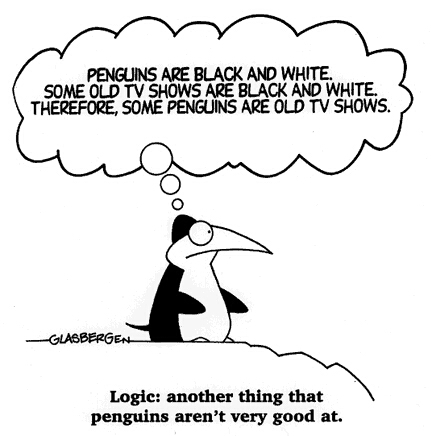 Reality is independent of what we think we know via logic. All things must have an identity, actions must have non-zero time (from cause to show its effect at a later time-instant), this rule out instantaneity as something absurd and should be dismissed (again philosophically). Now, thatâ€™s my last post on this thread. I CAN UNDERSTAND THE PITHY attitude seen on the internet toward Craig. I mean, lets be serious and understand the stakes—Atheists are fighting for their lives. They cant be wrong. Psychologically, they cannot concede a single point because that will only increase their fear of paying for their hate of God. So denying freewill, the definition of Nothing, and even Logic is not out of bounds for them because the alternative is utter doom. Craig doesnt win these debates because he’s a professional debater–he is not. He is an author and philosopher. He wins because he exposes that these people are actually not using the very logic and reason they so worship. He exposes that their beliefs dont actually stand upon such a solid surface after all and expose that their objections are 99% fallacy fluff that has no place is argument. So what are they left to say after experiencing a Craig beatdown? They’re just so transparent and it getting to the point where they’ve now just become embarrassing. Atheist bias has thus far caused not only illogical thinking but outlandish denials of reality all so they can sleep at night. John – You seem very sure you KNOW what atheists think. However, I am one of those evil people and I certainly don’t recognise your description. Seems you are just working off a bit of bile? I have absolutely no hatred of any entities for which I can see no valid evidence for. Craig uses the debate technique because it is a way of presenting his argument to lay-people. if the cosmological argument really stacked up- if it wasn’t simply an exercise in cherry-picking bits of physics that suits his agenda and ignoring the bits that discomforts it- he’d have published it in physics journals. How odd that he hasn’t. Chthoniid – actually some theologians claim he has published a scientific paper. And they will quote an astronomical journal. However, when you look at the details this was not a peer reviewed paper. It was an invited talk to a astronomy conference in South Africa. As such it really was just entertainment. If it’s not peer-reviewed, you don’t get to count as a scientific publication. It has avoided, rather than been exposed, to the scruitny of the experts in this field. I agree completely. I only hunted that one down because I was assured by a local theologian that Craig published in peer-reviewed science journals and provided the specific quote. No doubt this is another fallacy that gets promulgated in the theological echo chamber. You know, I think if I *was* going to hate a fictional entity, I’d pick Jar Jar Binks.